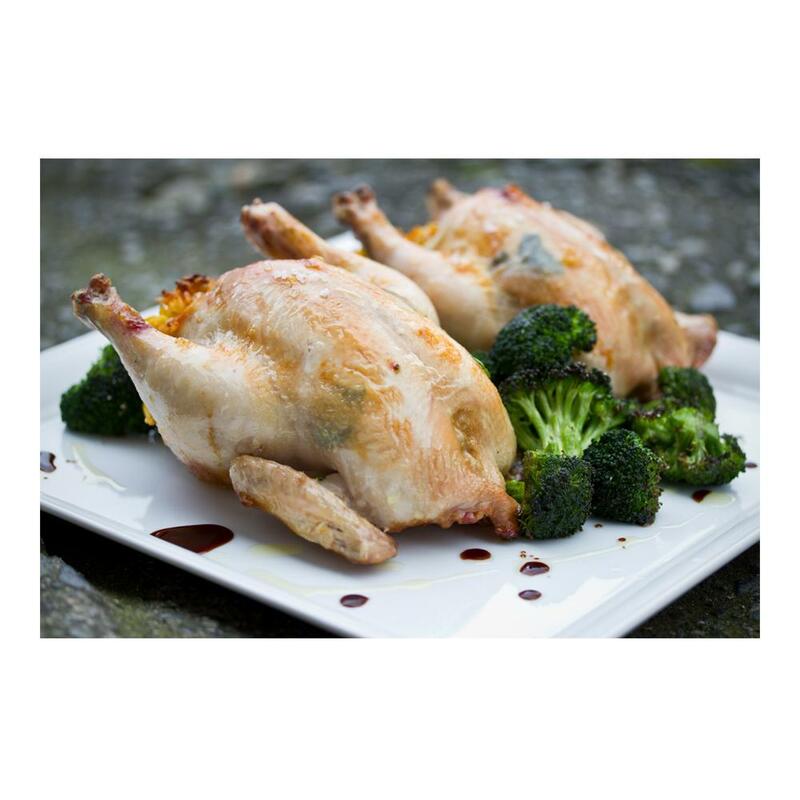 Cornish game hens (aka Cornish hens, rock Cornish hens) are a special variety of young chicken that has been bred to be the perfect single-serving size. Chefs love Cornish hens because they're easy to roast, and don't tend to dry out. 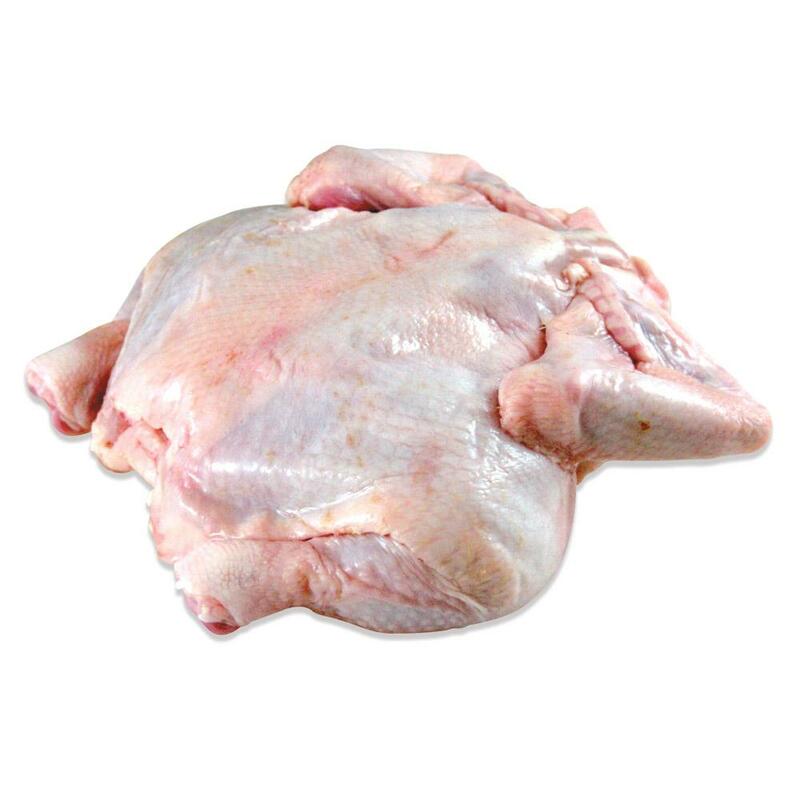 Juicy and tender, they also tend to be more plump than conventional chickens. Store cornish game hens frozen until you need them, then defrost completely before cooking. Though they can be cut into legs, thighs, and wings as you would a normal chicken (how to cut up a chicken), Cornish hens are ideal for roasting and serving whole. Each Cornish game hen will provide a single, hearty serving. To introduce additional flavor to your game hens, consider stuffing them before roasting. As always when stuffing poultry, use a probe thermometer check the center of the stuffing’s temperature after cooking to ensure that it has reached a safe 165 degrees. Cornish rock hens pair well with most ingredients commonly used with chicken. In particular, chefs like to use savory spices somewhat similar to those paired with squab, such as cumin, turmeric, cloves, ginger, cinnamon, paprika and green cardamom. Because cornish hens have softer bones than conventional chicken, they are much easier to split at the breast bone with a heavy knife or cleaver. Splitting them in half will further reduce their cooking time.